If you go down to Royal Victoria Park in Bath this winter you’re in for a big surprise! A magical new attraction opens in central Bath on the 23 November 2012. 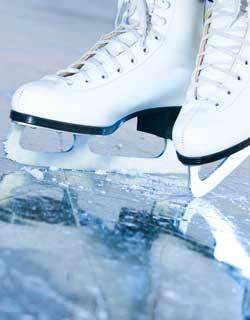 It’s time to put your skates on as the city gets its own real ice rink for the festive season. Bath on Ice will be an exciting addition to the city’s Christmas attractions with opportunities for people of all ages to get into the festive spirit and take to the ice. The 500 sqm real ice skating rink adds a new dimension to this year’s celebrations.